One of the things that I enjoyed most about working on Obscurer was the vastly different approach to writing the songs themselves. It was only when I’d put everything together and listened to it completely that I thought not only does it work as a collection of songs, but it really reminded me an awful lot of why I got into writing music in the first place. I consider myself incredibly fortunate at the moment in the sense that, because I’ve spent such a long time writing complete songs, I’ve got a pretty good technique down in terms of fleshing out ideas and making them sound decent in a relatively short space of time. 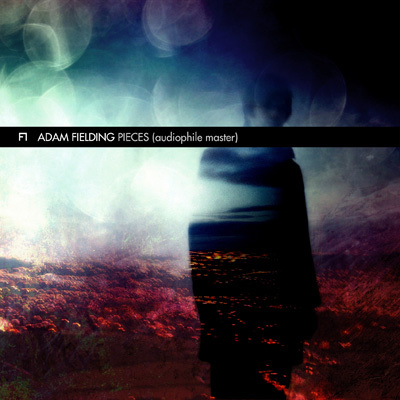 Pieces is pretty much the perfect demonstration of what I’m talking about – most of the tracks on Pieces were written in an incredibly short period of time, and I got in the habit of rounding them off before they outstayed their welcome. It’s a similar approach I’ve repeated a few times since – trying to get ideas down as quickly as possible, fleshing them out, and leaving them before they outstay their welcome. It’s always interesting to see what pops up as a result. That’s not to say I’m now rushing ideas – I’ve always loved the idea of working with spontaneous ideas, which I guess might be seen as an odd approach for someone whose work relies heavily on computers. That mentality popped up again to a certain degree with Obscurer and it’s interesting to note that, despite having a completely different flavour and approach to most of my other releases, there is something oddly familiar about it… which got me thinking about something I used to struggle with a lot for an awfully long time. How do you define your own “style” without coming across as sounding like a knock-off of something else? Obviously we’re all inspired by different experiences and musicians, and sometimes it’s hard to get that across in a unique and interesting way. I’ve been through plenty of moments where I’ve thought “oh man, I really want to write a song like X band/musician” and ended up with a soulless copy that doesn’t sound anything like me at all. I still enjoy the challenge of trying to emulate a particular style or artist, but it’s not the kind of thing I’d generally be happy to share as part of a public release. Anyway – the idea of forming an individual style. This is an issue that genuinely bugged me for the longest time, even after I released my first album Distant Activity – and even that was almost a drastically different album, with my initial rejected idea being released as The Dawn EP instead. But the thing is, despite both releases having a completely different feel to them, I still think they’re both representative of the ideas I was trying to portray at the time, and I’m still incredibly pleased with how they both turned out. And I think that’s the trick to it – once you stop trying to create a particular sound and you’re not comparing yourself to anyone else then your “sound” will naturally follow. For a while now I’ve had people tell me that they’d be able to pick out a song I wrote even if I didn’t tell them that I wrote it, simply because there are things I do that I tend not to be particularly aware of when I’m writing music… it might be something quite major, but I suspect that it’s a collection of multiple little details that make up my song-writing process. And that’s great! I love it. I’m glad to finally be over that particular hurdle. But what does this have to do with Obscurer? Well, the odd thing about it is that, in a way, Obscurer has a lot more in common with my earlier work than I think I realised when I was actually putting it together. I suspect it’s as a direct result of imposing restrictions on my setup, and maybe the unfamiliarity of working with a new setup just reminded me of when I was starting out with software and didn’t really know what I was doing… obviously less so in this particular instance, but there was definitely an element of re-discovery to play with. It’s hard to quantify the similarities, really, and I’m sure it’s not the result of any one thing. 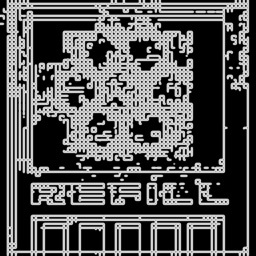 Curiously, it’s that kind of approach that I was really trying to emulate with AdFi, which is perhaps why I tend to associate it more with the sort of thing I would have been listening to in the 90s (which was mainly tracker music) more than anything else. I think it’s interesting to see how things have come full circle – despite having a much firmer grasp on what I’m actually trying to write and convey these days it’s almost refreshing to be working in a more unfamiliar environment to re-visit that feeling of discovery. It’s also gratifying to know that I’m not completely dependent on any one particular set of tools to write the kind of music I want to be writing. 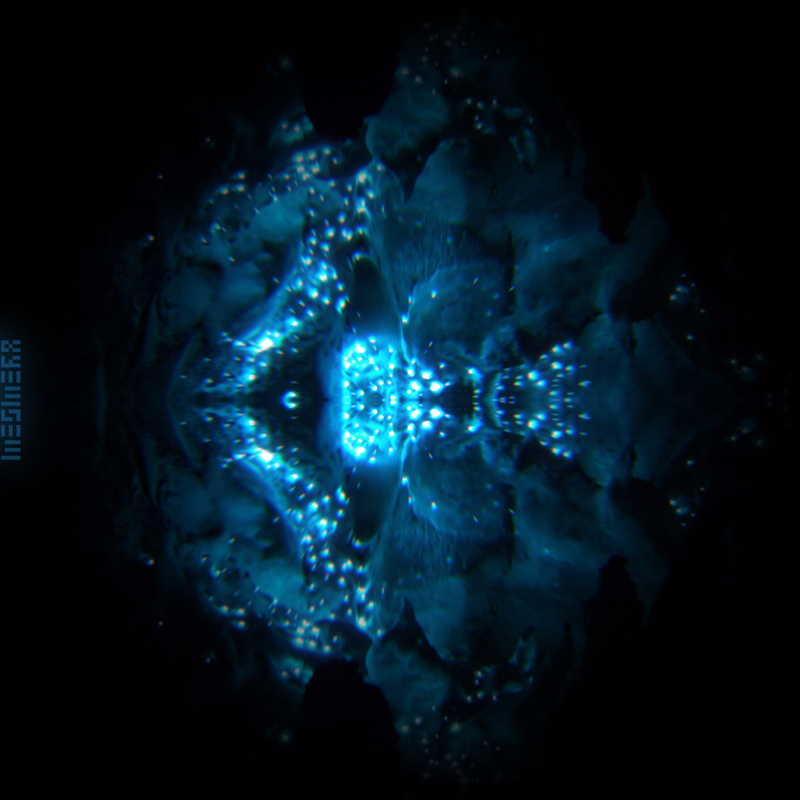 I always used to be in the habit of saying “this is a bit different from my usual thing” when releasing music, and despite all this talk of finding a particular style and discovery I’m still tempted to say the exact same thing with Obscurer. There’s an air of familiarity to it for me, but it’s still quite different sonically to the kind of music I’ve been releasing over the past year. But, hey, that’s all just part of the fun! Hello, and welcome to a series of articles I’m going to be writing about the creation & release of my compilation album Pieces! The audiophile master: is it right for you? Today I’m going to talk about one of the bonus features for those who pay for the release via my Bandcamp page, and why I decided to release it in the first place. This feature is something I’ve wanted to experiment with for a little while now, and it’s called the “audiophile master”. To explain what that is, we have a bit of ground to cover first. This will serve as more of a primer for the overall concept – if you’re looking for an in-depth look at mastering and the processes involved, I would strongly suggest looking elsewhere. 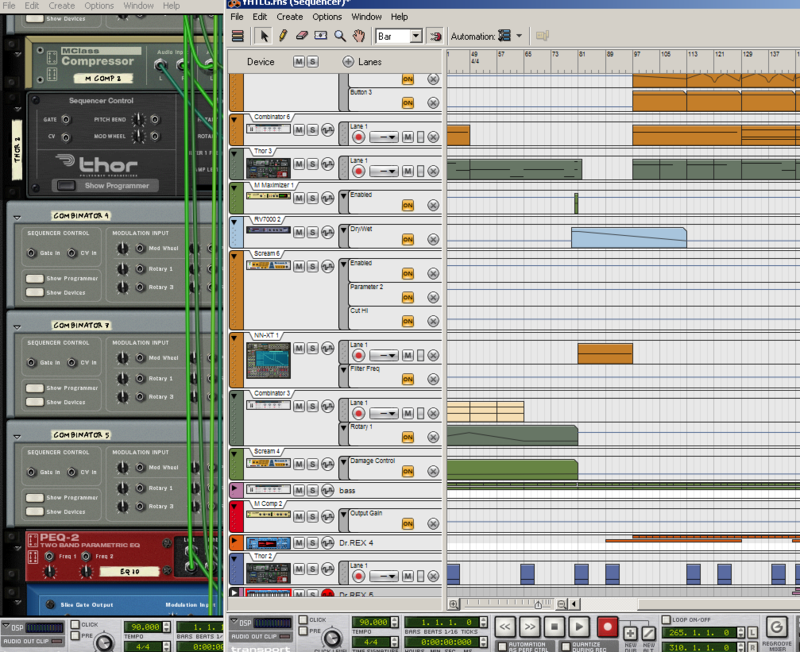 So: What does the mastering process entail? Generally speaking, the mastering process is the final creative step between an otherwise completed project and the listener. As songs are recorded, produced, and mixed individually, this can result in a collection of tracks which may have some quite wild sonic variations throughout. Naturally, this would not be particularly useful for the average listener – an album should flow naturally with each track sitting comfortably alongside the next. Listeners should not have to ride the volume control while listening to an album to compensate for wild amplitude fluctuations between tracks. It is the job of the mastering engineer to take the final project mix-down, and make sure it all sounds correct as one complete work. It is also the job of the mastering engineer to get the project ready for distribution, which can involve adding ISRC codes and other meta-data to the release. Why are there two masters in this case, then? Well, this actually goes back to the point I made above about the listener not having to ride the volume control while listening to an album. It has become common practice over the past two decades or so to raise the overall level of a project during the mastering stage, so that the final album will sound satisfyingly loud next to other commercial releases. While this sounds like a reasonable thing to do on paper, this practice involves the use of heavy compression and limiting, which will result in reduced dynamic range and, in some instances, distortion in the form of digital clipping. There is only so far you can push digital audio before this happens and, naturally, this is not a good thing. It is up to the mastering engineer to strike a fine balance between perceived loudness while preserving a project’s natural dynamic range. While a listener should not have to ride the volume control while listening to an album, there should be room for an album to ebb and flow in a satisfying manner if necessary. While listening to an individual song that is AS LOUD AS POSSIBLE might be satisfying at first, this may fatigue the listener over the length of an entire album or with repeated listens. Again, this is not a good thing. An often cited example of an overly compressed record is Metallica’s Death Magnetic. 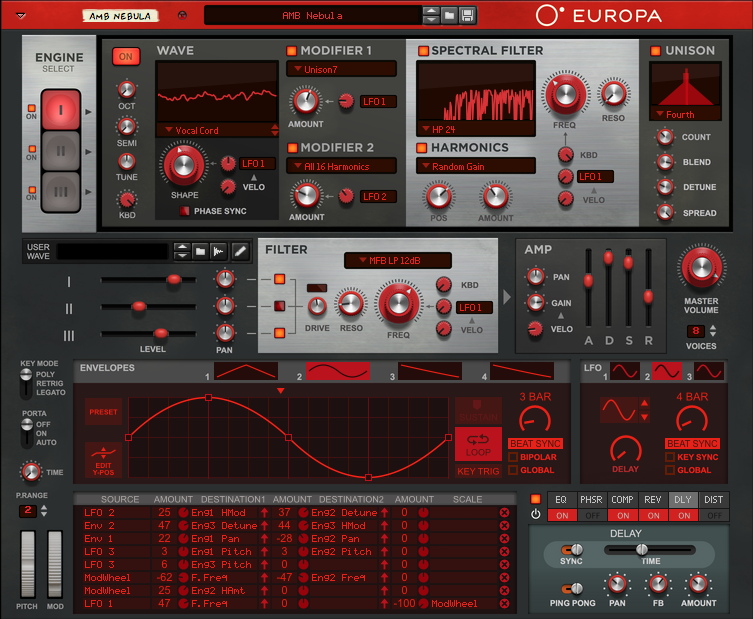 It is compressed to the point of repeated clipping, and – even to the average listener – sounds distorted throughout. Soooo… why are there two masters in this case, then?! See, I came across this idea last year with the release of Nine Inch Nails’ rather fantabulous album “Hesitation Marks”. They made a big deal of the fact that copies of the album purchased through the website would feature the regular version of the album, which would be compressed & limited to a commercially viable level, and an “audiophile” version of the album, which would be specifically designed for those wishing to listen in a dedicated listening environment with the dynamics preserved to a much higher standard. This sounded like a fantastic idea to me – a commercially loud master for regular listening, and a dedicated master that eased up on the compression for those who want to kick back and listen to the album in a quality listening environment. What you’re saying is that, basically, you stole the idea then? Well… yes and no (buuuut… mostly yes!). To be honest, I wasn’t particularly satisfied with the NIN audiophile master. It sounded different, and there was definitely a bit more going on in the low-end which was a bonus, but it didn’t preserve the dynamics of the original album mix as well as I’d hoped – especially when compared to the vinyl release. There is no reason for this in my opinion. Vinyl is not a superior format in terms of potential dynamic range, but vinyl masters are often far more dynamic than their digital counterparts. This is a huge issue in my opinion, and is not something that can be solved by releasing albums at a ridiculous sample rate and high bit-depth. This is one reason why I was a bit miffed at the marketing for the Pono player, which seemed to completely skirt the real issue entirely. It is for this reason that I decided to go with a sample rate of 48khz at 24-bit for the audiophile master – the difference in dynamic range comes from the master itself, not from the distribution format. If the audiophile version is better then, why not just release that? That is an excellent question, and there’s one big thing I want to point out here. The “regular” Pieces master is in no way compromised or inferior to the audiophile version. They are meant for different purposes. Strictly speaking, I wrote the album with the regular master in mind, and it was the first master that I heard in its entirety and was completely happy with. I would never put out a release that I felt was compromised in any way. For everyday listening, the regular master is the way to go, and I imagine it will be the version of choice for the vast majority of listeners. However, for those with a dedicated listening environment with high quality equipment, the audiophile master provides a nice alternative. When I use the word “audiophile”, I am referring to the kind of person who loves listening to albums from start-to-finish in a dedicated listening environment, and not to the kind of person who would spend hundreds of pounds on hi-fi cables because they sound “cleaner”. The audiophile master is less heavily compressed & limited than the regular master. For those who like to listen out for this kind of thing, this means the audiophile master likely have a bit more of a dynamic feel to it though, having said that, the regular master was designed to have a satisfying ebb and flow to it as well. The equalisation is different throughout. In the regular master, there is slightly more of an emphasis on the high-end. In the audiophile master, the extra headroom means that there is a bit of extra room for the lows and mids, and so the audiophile master capitalises on this. Which one you prefer will purely be a taste thing. The audiophile master is released at a higher sample rate & bit-depth. As I mentioned above though, the difference in sound will come much more from the actual master than the distribution format. That said, I felt it made sense to release the audiophile master in a slightly higher quality format for those that want it. The regular master is released as a CD-quality master at 44khz/16-bit. The audiophile master is released at 48khz/24-bit. If you want me to release it at a higher sample rate then allow me to re-iterate what I’ve said previously – you’re going to be in for a bloody long wait! In short: The main reason behind the existence of the Pieces audiophile master is to provide some additional choice for those who want it. When I say that “most people will prefer the regular master”, this is not a condescending or disparaging statement. Which version you prefer will likely come down to taste as much as anything, and I would much rather offer the choice to those that want it than offer a one-size-fits-all release with no alternative. Regardless of which version you prefer, I hope you enjoy Pieces when it’s released on the 8th August! 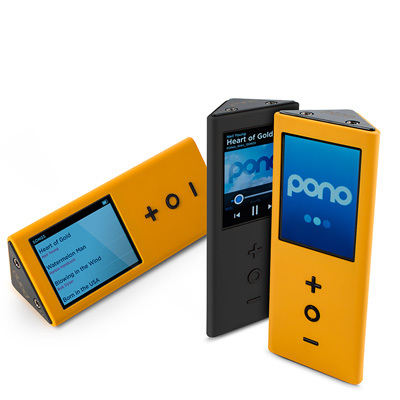 Over the past week or so, it seems that the internet (or, at least, audiophiles-and-heavy-listener-types) has been going positively nuts over the idea and concept of the Pono. Much has been said about how it will supposedly bring forth a new wave of high-quality digital music in the face of low-quality MP3s and other lossy digital formats. It supports up to 192khz audio files – I mean, more is better, right? Go go, audiophile power! As you may have gathered from the tone of that first paragraph, I’m not entirely convinced. In my reasonably humble opinion, distribution formats and their upper-limit specifications have absolutely nothing to do with the quality of modern music masters. Zip. Nothing. For starters (and I apologise to anyone who has a passing interest in this sort of thing for posting a link you have probably seen a zillion times already), 24-bit/192khz files are pointless from a listener’s point of view. Of course, from a music production point of view, there is very much a place for 24-bit audio files and higher sample rates. But from a listener’s point of view? Nope. Needless to say, if you’re expecting me to ever release my music in a sample rate over 48khz then you’re going to be in for a bloody long wait! So, no, big numbers do not a great music player make. But at least Neil Young’s doing something about the ridiculous proliferation of MP3s, while trying to bring a sense of artistry back to proceedings, right? Well, actually, I take serious issue with some of the stuff being churned out by Mr Young. Here’s a snippet extracted from an article here. This is such an absurd point of view to hold, and it’s views like this which, in my opinion, give lovers of music a bad reputation. I love listening to music – after all, I find that to be kind of important if you’re writing and producing music for a living… but there are so many things that I take issue with here. Firstly – while I tend to listen to most of my music in my studio as 44khz/16-bit FLACs, you know what? I find it genuinely tricky to tell the difference between that and a 320kbps MP3. Heavens above! Shoot me! Before you get your pitchforks ready, I’d like to point out that this is especially true if I’m listening to a 320kbps MP3 in a medium in which it’s best suited – i.e., a situation in which storage may be at more of a premium, and where I might not be listening to my music in the most ideal setting. How about, say, every time I’m not in my studio, or not at a dedicated live venue. Listening to music in a lossy format takes nothing away from my enjoyment when I’m out of the studio, and I would argue that you are doing both yourself and the music you’re listening to a massive dis-service if you’re focussing on nothing but the numbers. Secondly – and I’m returning to my earlier point here – I believe that the upper limit specifications of digital audio formats are not the real issue here. Curiously, I feel that it’s an issue which the Pono would do well to alleviate were they to focus on this particular issue rather than playing the numbers game. The issue is the continuing state of the loudness war, and the continued pushing of overly loud, overly compressed, not particularly dynamic masters. This is not a fault of the medium, it is a fault in the manner in which the medium is being used. I’ll come back to this in a second, but I can’t overstate the fact that this has very little to do with the current state of available digital audio formats to listeners. Finally – this device is doing nothing new. Musicians already have the means with which to get their music directly to their fans in whatever format they choose. Listeners already have plenty of choice regarding what format to purchase their favourite music in, digital or otherwise. You like FLACs? Buy FLACs. You’re ok with MP3s? Buy MP3s. Still prefer physical media? Buy CDs or vinyl. Similarly, listeners already have plenty of choice regarding what environment they choose to listen to their music in. Want to listen to music in a dedicated listening space? Go for it. Want to listen to music on the train? Sure. Want to listen to music in your car? Why not. This is nothing new, and I’m not even going to get started on the weird Toblerone-esque design of the thing. Going back to another earlier point – if musicians and labels wanted to genuinely release music in a more dynamic, less heavily compressed/limited/clipped (i.e., more listener conscious) manner, they can already do that. There is nothing stopping them besides commercial and competitive concerns. If the Pono can encourage more musicians and labels to do that, then in my view that would be a fantastic outcome. In my mind, a return to more dynamic masters would be of greater benefit to listeners than bumping up the sample rate and bit depth, especially if you’re going to verbally slap genuine music lovers in the face while doing so. I’d also like to point out that while I’d appreciate more choice with regards to released digital masters, I’m definitely not saying that music “used to be better”… because that would be absurd. As such – until they lay off the hyperbole and stop playing the numbers game, you can count me out. 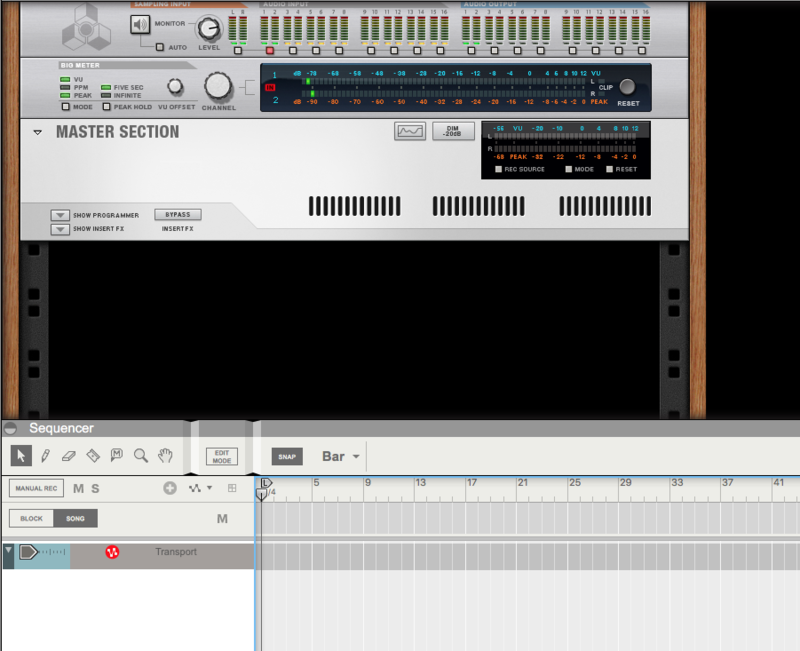 As you may or may not know, a couple of months ago I did a live on-line stream for Propellerhead Software‘s Music Making Month, detailing how to do some quick percussive sequencing in an unusual time signature. 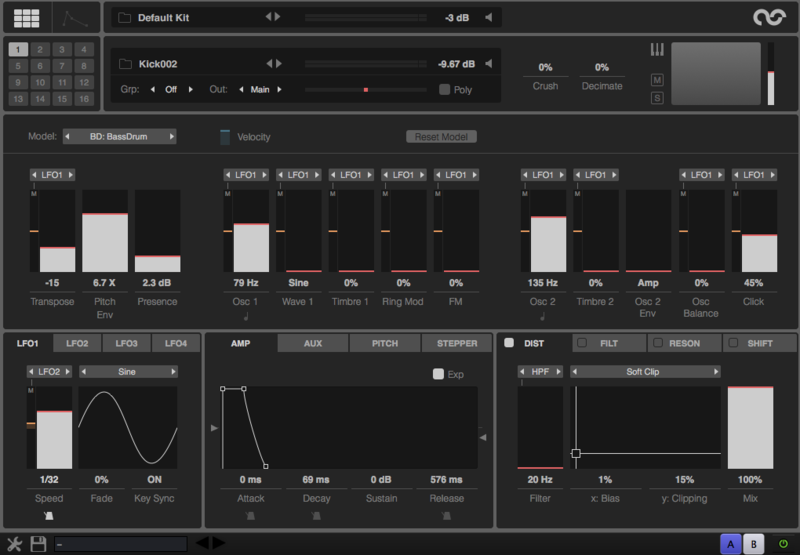 Since then I’ve been meaning to get some more tutorials put together, and I finally decided to put something together detailing how to create tribal/cinematic percussion from scratch using Reason‘s Kong device. The video guides you through creating a multi-layered Kong section featuring some organic sounding cinematic drums, right from setting up the sequencer lanes through to programming the drums & sequencing a short section in about 15 minutes. I’d love to know what you make of it, and I’d be really interested to hear any music written using the principles showed in this video. I’ve got a couple of ideas for some future videos but I’m totally open to suggestions! If you’d like to check out the finished Kong sequence in Reason 6.5, you can download it from here.